I always told you that bread is one of my favorite breakfast item. Till now I posted many wonderful recipes made out of it, today I am posting the healthy version of it. 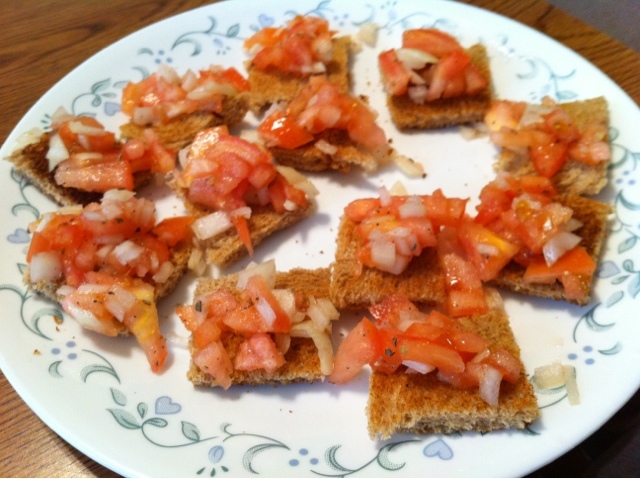 You can even make this healthy snack when you have surprise guests at home. This is easy instant and delicious snacks, looks good and tastes good!!! I just munched on them, and I think you will love it too!!! Remove the brown sides of the bread and toast it till it turns golden brown and crispy. Then prepare the salad by mixing all the above mentioned Ingredients. Cut the bread slice in to four equal parts or circles with the help of cookie cutter. 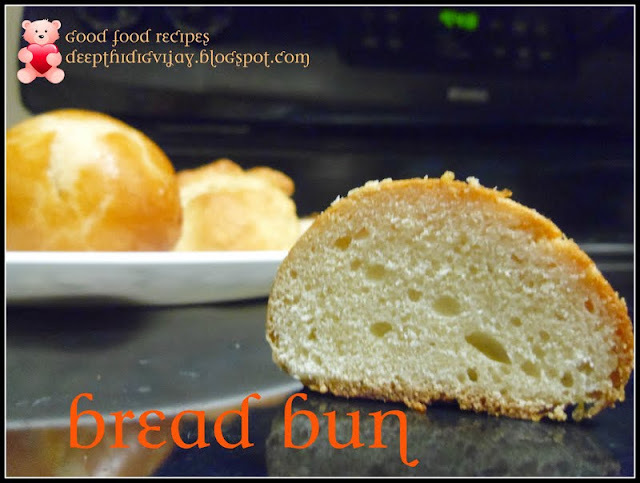 Place 1tbsp of salad on top of each bread slice and enjoy. 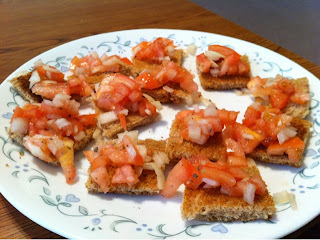 You will love and enjoy the crispy bite of bread with tasty tomato salad. Very healthy and colorful looking recipes. Wonderfully prepared. quick ,easy and temmpting recipe..